Africa’s wildlife unfortunately became one of the main financial supporters of terrorist attacks worldwide and it cannot be controlled. 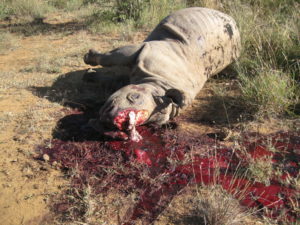 Anti-Poaching Units are being trained to protect Private Wildlife Reserves against Specialized poaching syndicates. Young men and woman are being trained as Anti-Poaching members in South-Africa with no previous experience of either the South African Police or Defense Force. Members as young as 18 years are trained in Anti-Poaching short courses with absolutely no experience or knowledge of wildlife. Wildlife Training Adventures in joint venture with Wildlife Security Consultants believe that anti poaching and nature guiding training needs to be combined as one course. How do you protect an animal but have no knowledge about the animal or its environment? How do you deal with a situation when on a game drive and one comes across poachers? Become part of the solution and join our APU Training Course.